Young participants eagerly await the judging. 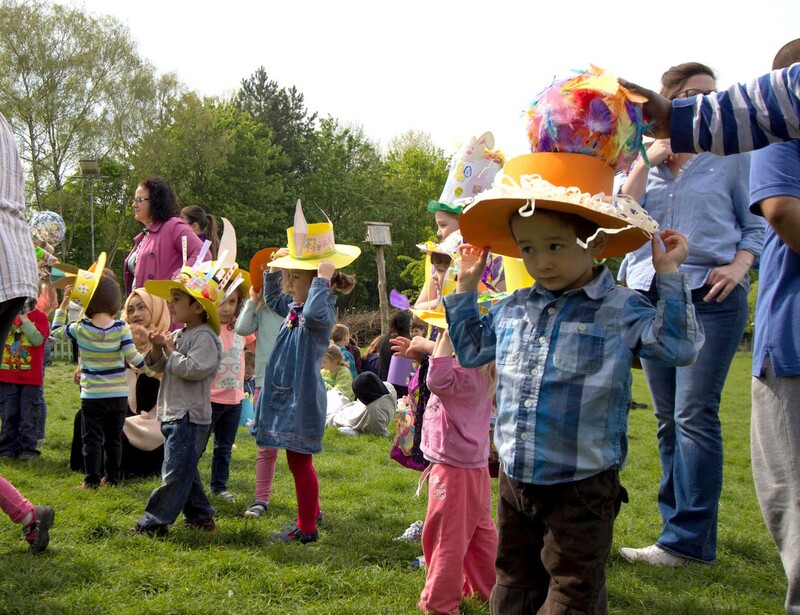 As part of our Easter festivities last week, we invited young visitors to take part in our Easter Bonnet parade. Children of all ages created their very own Easter bonnets and entered a competition for the best Easter Bonnet with classes for those over and under 8. 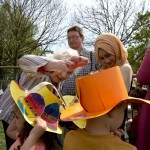 We saw some fantastic bonnets from children of all ages. 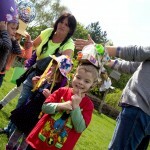 Congratulations to all who took part on some very impressive creations! 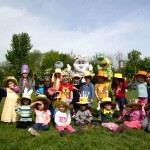 Here are just a few photos from the day. 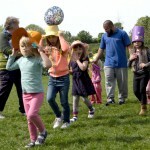 You can find a few more images in the East London Advertiser. Well done to all of our participants! 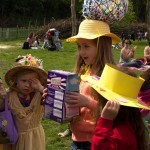 The award winning bonnet for the over 8 category. 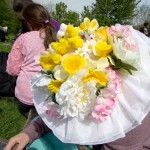 A parade of bonnets preceded the judging. 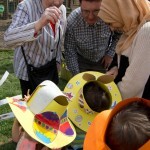 Bonnets came in all shapes, sizes and colours. 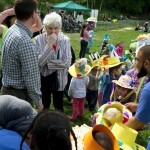 Our guest judges had a tough task choosing the winning bonnets! Our guest judges presenting the prizes! First place in the under 8 competition, a modern take on the Easter Egg from Madison Amber. 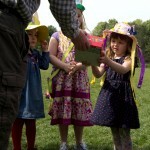 Our entrants in the under 8, showing off their creations. The judges inspect the entries. 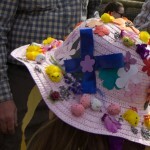 One of our many lovely bonnet entries. 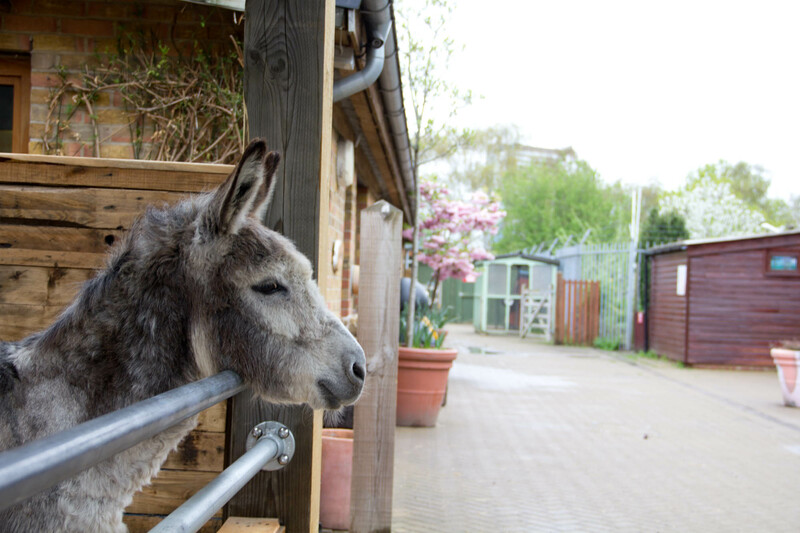 Many visitors to Pets Corner have met our handsome new donkey, George and heard his unmistakable bray! We were delighted to be able to offer George a home as he was rescued from owners who were unable to care for him. 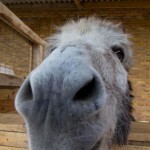 We are not an animal sanctuary and do not usually have the facilities to take on unwanted animals, so are happy that circumstances allowed us to take on another donkey. 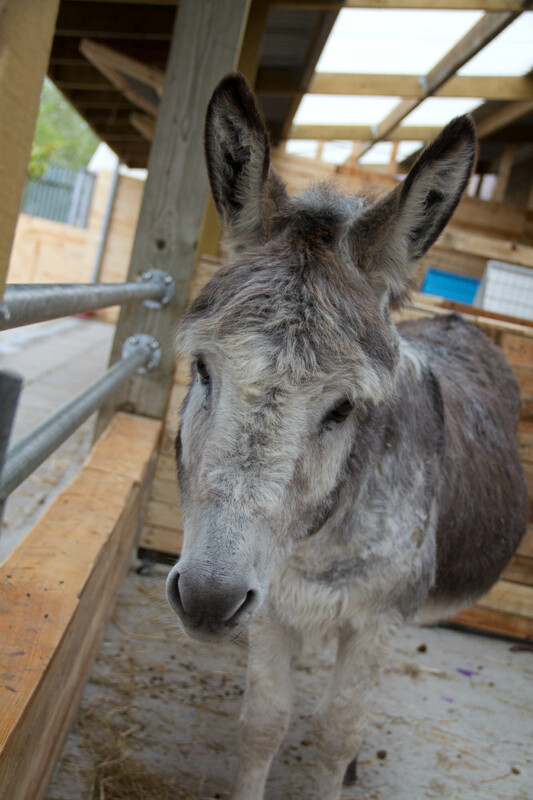 When he came to us, George was suffering from overgrown hooves and a hoof condition called laminitis, which resulted in him having great difficulty in walking. We’ve been working closely with the vet and the farrier and are happy to report that George’s condition has improved greatly. However, as we try to correct the problem and strengthen his legs, it is important that he does not overexert himself. As a result, he is being carefully supervised and spends much of his day in Pets Corner while he builds his strength and confidence. 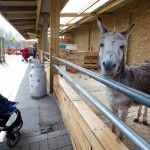 Here in Pets Corner, he seems to be enjoying the company of our visitors and the new orphan lambs. 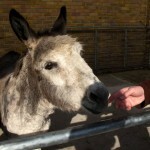 George now welcomes visitors to Pets Corner. Getting a kiss from a happy George. 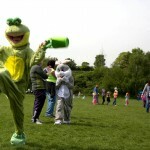 George is settling in very well here at Mudchute. Today we officially launched our new and improved ponds! 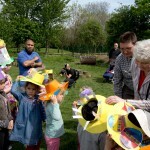 The afternoon was a celebration of pond life with activities including pond dipping, wildlife-themed arts and crafts and opportunities to discover some the wild residents of Mudchute’s ponds with our visitors. Over the winter, we worked with Tower Hamlets and Froglife to restore and improve our ponds (see details here) and we’ve already noticed common frogs making the new and improved ponds a breeding site. 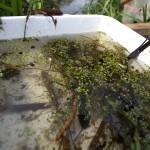 Today’s pond dipping activities gave us a chance to look below the surface. 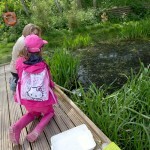 Using the new viewing platform as a base, pond dippers of all ages and experience levels took part in exploring pond life. 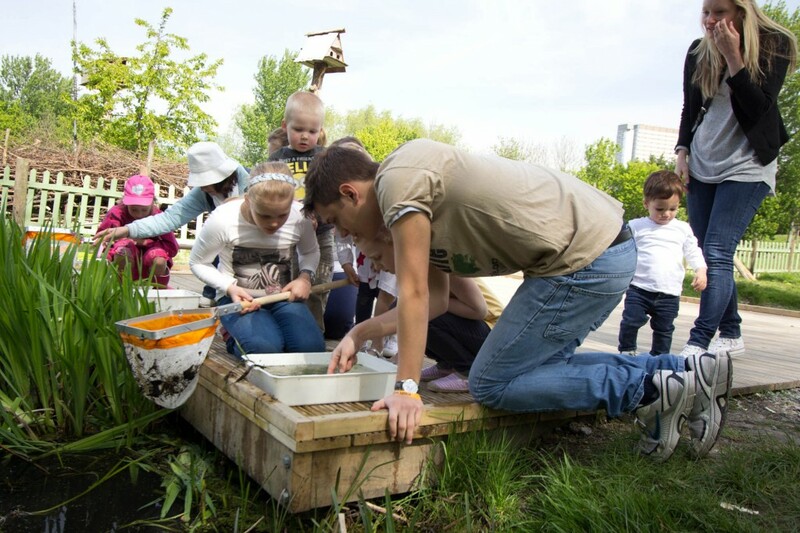 We got a fantastic glimpse at many of our wild aquatic residents, which included tadpoles, water boatmen, young newts, caddisfly and damselfly larvae as well as lots of ramshorn snails and hoglice (an aquatic cousin of the familiar woodlouse). 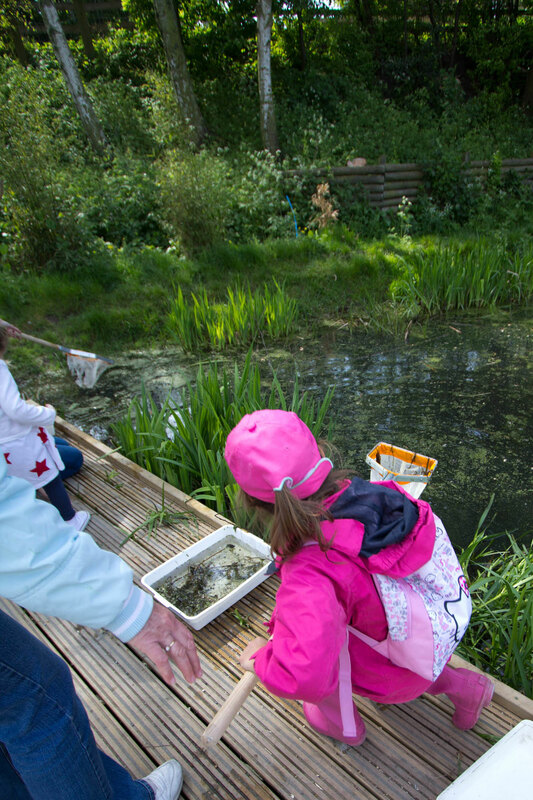 We hope all our visitors enjoyed the day as much as we did and we look forward to watching our new ponds and their wild residents grow and mature! You can find more photos of the day’s activities below. Thank yo again to all who took part! 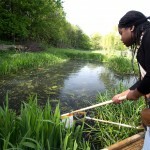 A fine day for launching our new ponds! A young pond dipper under the expert guidance of Tower Hamlet biodiversity officer, John Archer. 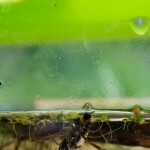 One of the first tadpoles since the pond restoration project began! 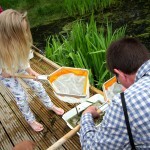 Visitors enjoyed having go at pond dipping. 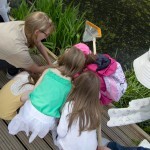 A water boatman found on the pond. Eager young visitors helping to check the nets! 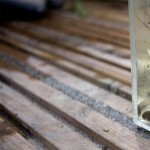 Ramshorn snails, hoglice and other invertebrates aplenty! 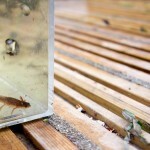 A young newt, born and bred here at Mudchute. 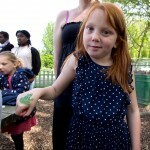 A young visitor shows off her frog! 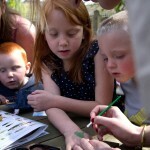 Young pond enthusiasts get frogs painted on their hands. 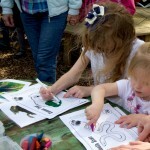 Drawing and colouring some of our favourite reptiles and amphibians.